Backup is essential for protecting business data from numerous threats, including hardware failures, outages and viruses. 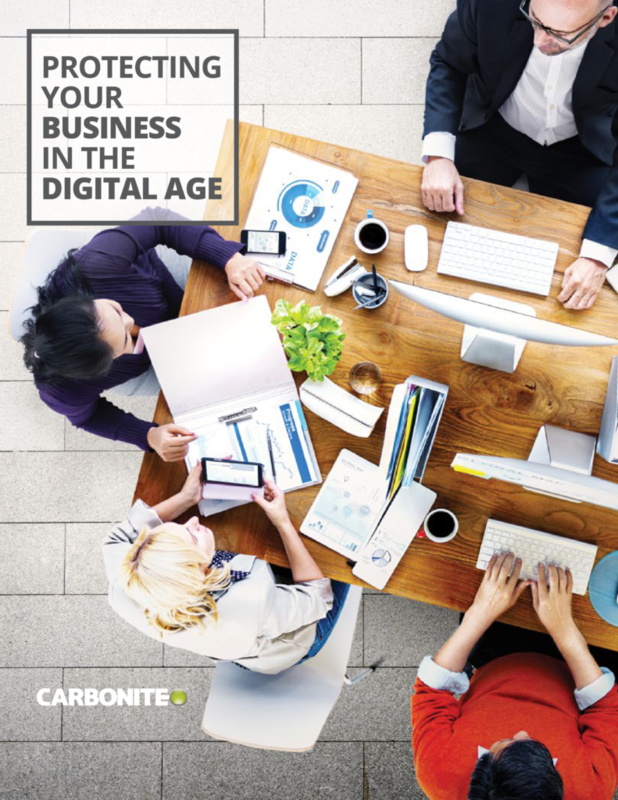 Carbonite offers small offices powerful cloud and hybrid backup that’s affordable and easy to use, with the flexibility to accommodate both simple and complex computer/server environments. Protect all the computers, external hard drives and physical or virtual servers across an entire business for one low price with no added capital expense. Backup is an essential part of an effective antivirus strategy. Revert to previously saved files after a ransomware attack without ever paying a ransom. 128-bit encryption, private key option, transport layer security (TLS/SSL)—supports FERPA, GLBA and HIPAA compliance, including business associate agreement (BAA). Advanced features like image backup, Bare Metal Restore (BMR), and granular file or full system recovery options slash hours of time and complexity. Get help installing, setting up or troubleshooting via phone, online chat or email from our dedicated U.S.-based business support team. Contact us today to learn more or purchase directly!